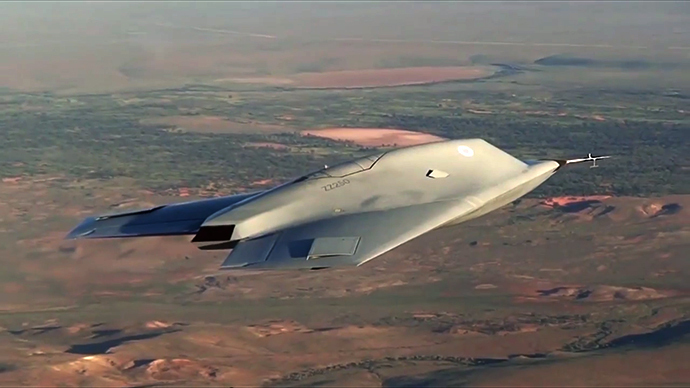 The UK’s BAE Systems have unveiled footage of the unmanned combat drone, Taranis, on its maiden flight. 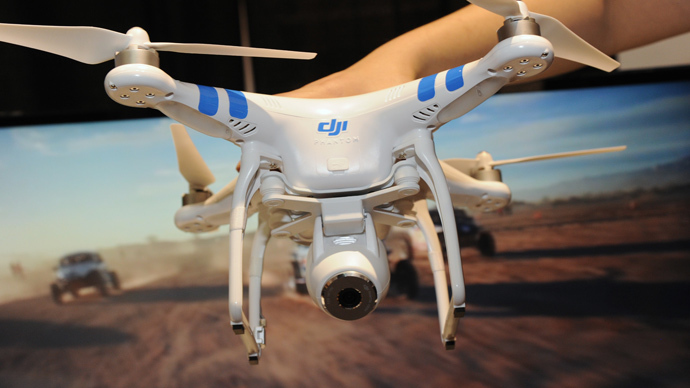 While it hails the drone - capable of self-selecting targets - as “inspiration for nation,” activists are urging to ban the use of its auto-kill mode. 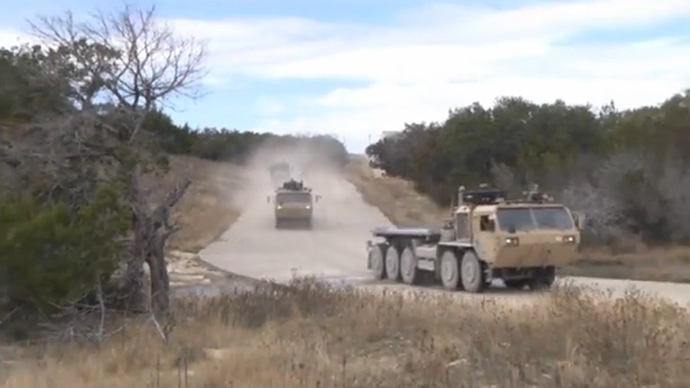 Defense companies are keen for their new arms and hardware to look appealing to the public, as attested by a series of clips uploaded to BAE Systems’ YouTube channel on Wednesday. Named “Taranis” after the Celtic god of thunder, a new British unmanned aerial combat vehicle was displayed in its full glory in a short test-flight filmed last year. Taranis is a semi-autonomous drone designed to carry out intercontinental flights and lethal strikes against both aerial and ground targets. The project, which has so far cost 185 million pounds ($300 million), is jointly funded by the UK Ministry of Defense and companies like Rolls Royce and General Electric. This rang warning bells among some activists, who have raised questions about whether the robotic planes will be authorized to choose and destroy targets on their own, while apparently not having the ability to tell combatants and civilians apart. 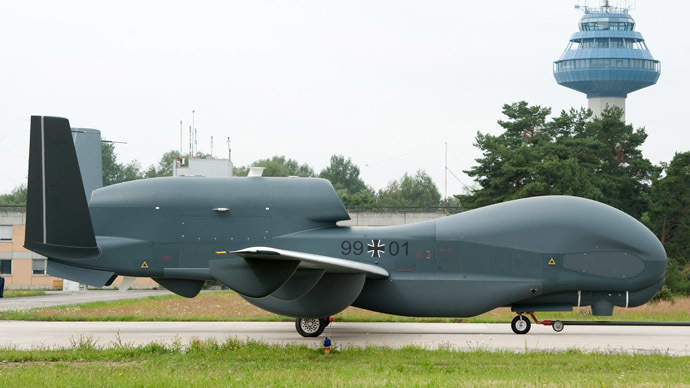 Such a capability, which is also said to be included in drones like the American X-47B and the French Neuron, has opened up tempting new horizons for waging war for the military, but has also brought the issue of “killer robots” under the spotlight of international scrutiny. A group of activists led by such figures as Nobel Peace Prize-winner, Jody Williams, have campaigned for the law on future robotic warfare to be pre-emptively discussed in Geneva, calling to ban any lethal use of drones without a pilot involved. 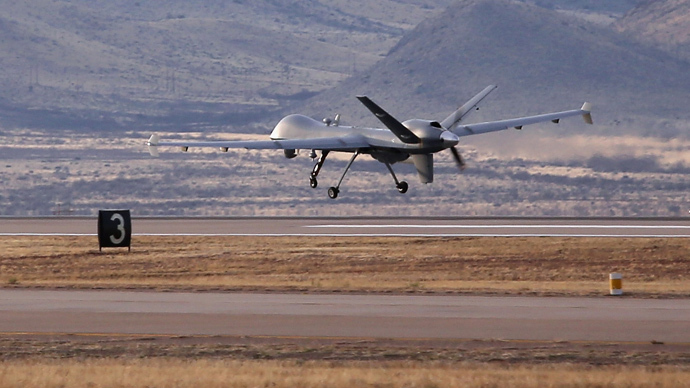 “Killer robots are weapons that would make drones look primitive. At least with the drone, there is a human being who looks at the computer screen, sees the target and pushes the buttons to fire the missiles and kill. Various militaries are doing research on weapons that would have no human being involved in the targeting and killing of human beings. We found that shocking and horrifying that people are really thinking that it is OK to give the right to target and kill human beings to machines,” Williams told RT. 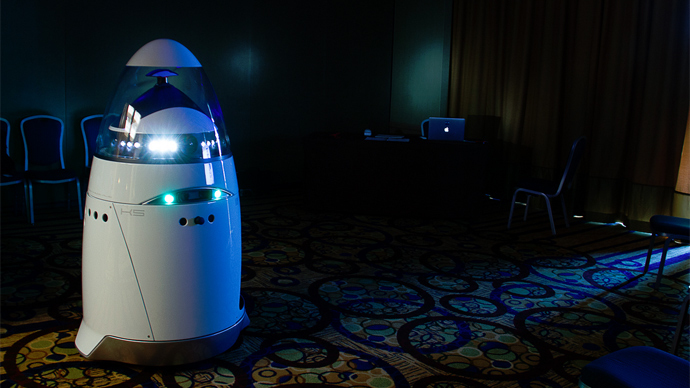 “It would take the robot to be programmed, but once it was set free, it would proceed to make the targeting and kill decisions unless our campaign to stop the killer robots is able to make certain that human beings have to be involved meaningfully in the kill decision,” she added, calling for a definition of who would bear responsibility in the event of any robotic machines running amok by accident, or by an attack from hackers. 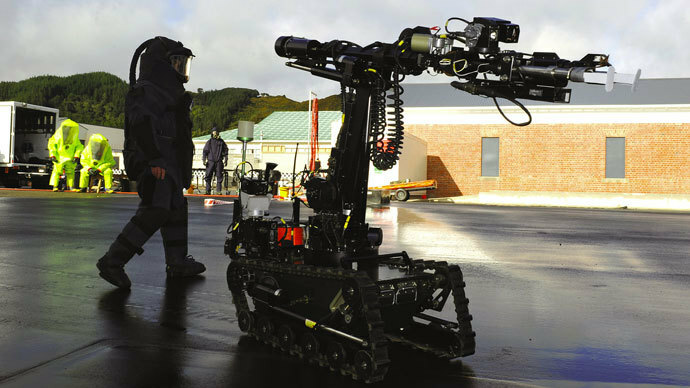 According to Williams, a meeting on “killer robots” is scheduled to take place in Geneva in May, in which world governments will participate under the umbrella of the United Nations’ Conventional Weapons convention. It is, however, unclear if the governments already involved in “drone wars” will be willing to give up their potential capabilities. According to anti-war activist, Michael Raddie, drone warfare is a win-win situation in that it subsidizes the military industrial complex and makes overseas conflicts more “popular” at home. “It becomes very easy to sell a war based on drones to the domestic audience, because there’s no soldiers, there’s no airmen, pilots putting their lives at risk. This makes drone warfare fairly acceptable to most countries, it’s fairly popular in the US… it’s becoming popular in the UK,” Raddie told RT.